Chapter in book Status of City – The challenges of fair city . Andrea Mussi Square (Org. ), Daniela Garcia (Org. ), Vanderlei de Oliveira Farias (Org.). Passo Fundo: Editor IMED, 2011. SANTOS, THE. P.; SILVA, T. H.; VARGAS, J. C. The new housing policy and urban planning practice: the plan of Social interest housing site as regards urban interest. Cap. 11, p. 178-195. The book is available for free download This link . The long period of deployment of the Itaipu hydroelectric plant came to an end in 2007 with the inauguration of the last two generating units. Itaipu Binacional reached its great goal consolidating itself as one of the largest power generation plants in the world, represents the completion of the work and the symbolic start of a new cycle. Itaipu, Since its creation, took its action by integrating activities, but the main focus was always the power generation. Since 2005, with the expansion of its mission, It is remarkable the Itaipu's effort to broaden the actions in the areas of the environment, education, technological development and tourism. In this sense, the planning of each sector becomes critical to the proper functioning of all the activities and proposed actions. Aware of this issue and lacks an integrated plan, Itaipu has decided to start the sectorial planning from the development of the master plan of the Itaipu Technological Park, having the 3 c architecture and urbanism as responsible for the coordination of this process. This article introduces and describes the Spatial Model proposed for the master plan and low-impact strategies for developing and implementing the same. 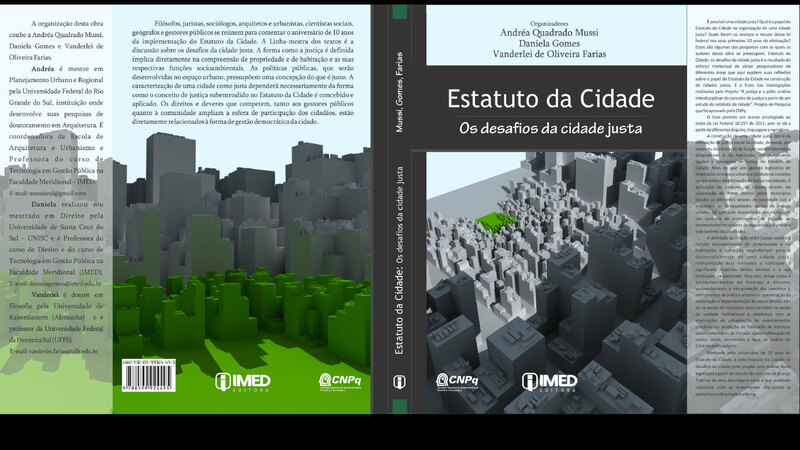 This work presents an account of practical experience and a critique of so-called Municipal Social Housing Plans, recent Brazilian housing policy instrument, inserted within the framework of the country's urban policy General. Is described in the General system of financing and stimulating local organization of the housing sector, especially that destined to the portion of the population normally excluded from the private market; are the PLHIS, your institutional deployment and movement, the follow, reported how the authors have dealt with the challenge of elaborating a plan relatively unheard of in the panorama of professional activity. Finally, as a conclusion, is made the critique of political-institutional framework and implementation strategy of the instrument, as well as developed a brief reflection on the results and the approach of the authors. The work consists of a general plan of urbanization to an area in the municipality of Ijuí, in the interior of Rio Grande do Sul, that presents problems related to subhabitação in areas of APP, together the two ancient quarries disabled that turned into an open-air waste dump. The plan was built with the participation of the population concerned and technicians of the municipality, and articulates in four main axes which give rise to specific projects: social housing, public facilities (Park), environmental recovery and urbanization. The projects dealing with the issue of resettlement and urbanization of areas of subhabitação, with the construction of 154 housing units; construction of an urban park that will meet not only the population of the area but as the entire municipality; reorganization of the quarry Lake, removal of garbage and debris and environmental recovery of the APP (Permanent preservation areas), After removal of families to new housing units, retrieving the riparian forest along the watercourses; urbanization project – road infrastructure, adjusting the mesh the local to global city project, as well as with the implementation of sewage collection networks and supply, In addition to implementing public tours and bike path. This work presents an account of practical experience and a critique of the so-called Local Social Housing Plans, recent Brazilian housing policy instrument, inserted within the framework of the country's urban policy General. The PLHIS is presented through the methodology of formulation used to draw up a plan relatively unheard of in the panorama of professional activity and for which even if they build the foundations of information and management. Seeks to expose synthetically the challenge of spatialized data analysis from various sources and formats through the interaction of professional technical multidisciplinary team coordinated by urbanists, municipal public power and population in General. Diagrammatically, It describes the relationships involved, the responsibilities of each group of actors and the interactive process of Plan formulation.